Whether you live here or visit here, Catalina Island takes a lifetime to explore. Its history, culture and natural environment are a deep well of discovery, offering new insights and adventures on a regular basis. 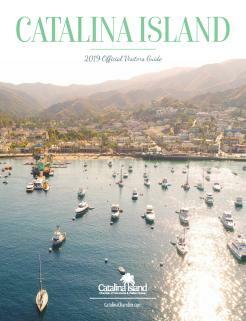 To get you started, here are nine facts every Catalina Island visitor should know. Catalina Island is an escape from reality – almost. For visitors used to the stress and strain of the mainland, Catalina Island is a wonderland. There are no stop lights, the traffic is a slowdown of golf carts and there’s very little crime. Kids are safe to wander the streets, everyone walks nearly everywhere, and the beauty and charm of the surroundings is never ending. Keep in mind however, that there is a 10 p.m. curfew for minors and alcohol laws are the same as everywhere else in Los Angeles County. 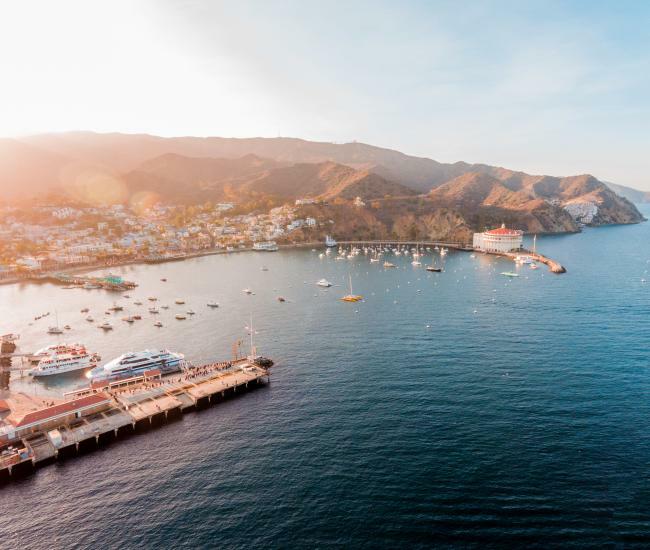 To get the most out of Catalina, go beyond Avalon. While the seaside charms of Avalon have plenty to offer, the rest of Catalina Island is a natural wonderland of stunning vistas, awe-inspiring seascapes and unique wildlife. Protected by the Catalina Island Conservancy in perpetuity, the interior of the island offers adventure, relaxation and the sense of peace that can only come from spending time in nature. The island is a lot bigger than you think. How big is Catalina Island is one of the most frequent questions asked about the island. And it’s one without just one answer. Santa Catalina encompasses about 75 square miles. It has about 52 miles of coastline. It’s eight miles wide at its widest point and less than half a mile at its narrowest. The highest point on Catalina Island, Mt. Orizaba, is right around 2,100 feet. Catalina Island weather is just about perfect. Temperate. Moderate. Mediterranean. These are just a few of the terms folks use to describe the weather on Catalina Island and they are all correct. Catalina Island temperatures rarely climb above 85 and seldom drop below 65. Snow is almost unheard of (it happened once back in the 1940s) and the average rainfall is just under 14 inches. Water is precious on the island. Like the rest of Southern California, Catalina Island is particularly susceptible to drought. Water conservation comes naturally to those that live here – we’re water wise even when there isn’t a declared drought. When there is, visitors may notice water conservation measures. We hope you’ll join us in conserving this precious resource. We’re connected. While you’re on island time, don’t worry about missing out on your social media feeds – or checking your work email -- you’ll find wifi throughout Avalon. Whether it’s at your accommodations, the local library or by logging on for a small daily fee, Avalon is connected. Please be aware, however, that there are some limitations. Speeds and reliability may not be what you are accustomed to on the mainland; also, some areas in the interior of the island do not have cell service. Speaking of social media, several Catalina Island Instagram feeds are epic, don’t miss out on contributing your own posts to #catalinaisland. The best time on Catalina Island is the time you are here. 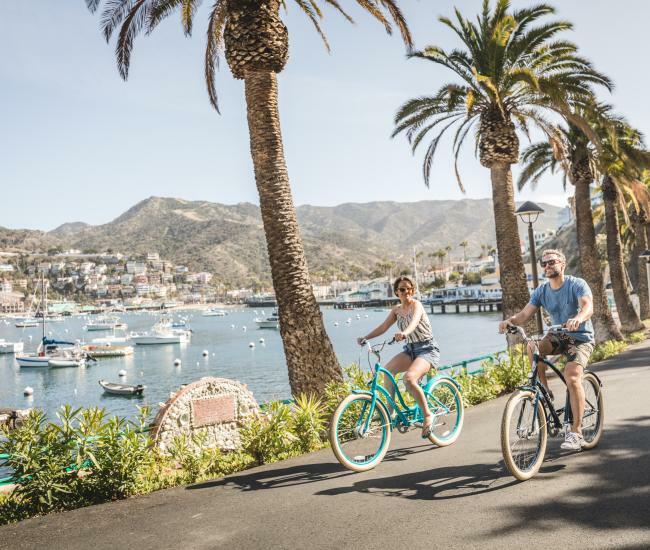 Visitors often ask what’s the best time to visit Catalina Island and the answer is entirely up to you. In the summer, the water’s warm, the activities abound and Avalon bustles with energy. In the fall, festivals are held almost every weekend and the pace begins to ebb. Winter offers a relaxed ambiance, perfect for a romantic retreat. In the spring, Catalina’s hillsides beckon and hikers discover the wonders of the interior. Catalina Island history runs deep. While the island has been one of Southern California’s top tourist attractions for more than a century, it also offers a fascinating melting pot of history, featuring native islanders, European explorers, smugglers, miners, soldiers, spies and ranchers, not to mention Big Bands, Hollywood elite and the Chicago Cubs. Don’t miss a visit to the Catalina Island Museum to discover it all. Yes, we really do live here. 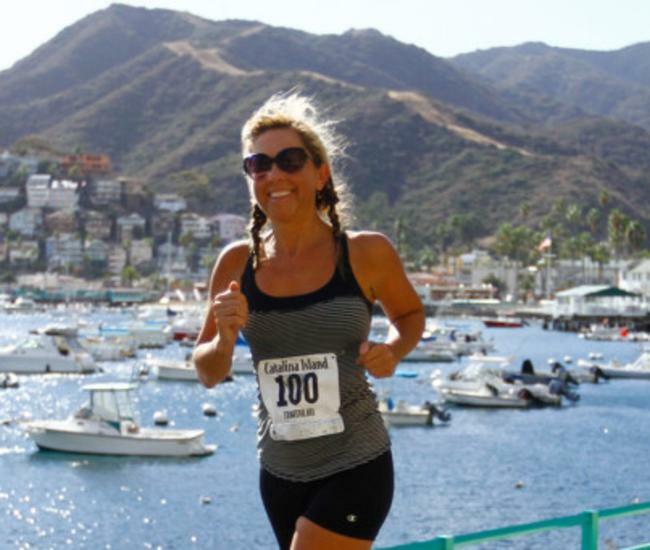 For more than 4,000 people, Catalina Island is much more than a vacation destination, it’s home. Most residents live in Avalon, although there are people living year-round in Two Harbors, at Middle Ranch, at Empire Landing and in a few of the coves and camps scattered along the island’s coastline. We have a hospital, school and a grocery store, as well as service clubs, churches and non-profit organizations.